Food + Drinks Provided! Hope to see you there! RSVPs will close on March 19th, 2018 at 11:59 PM. 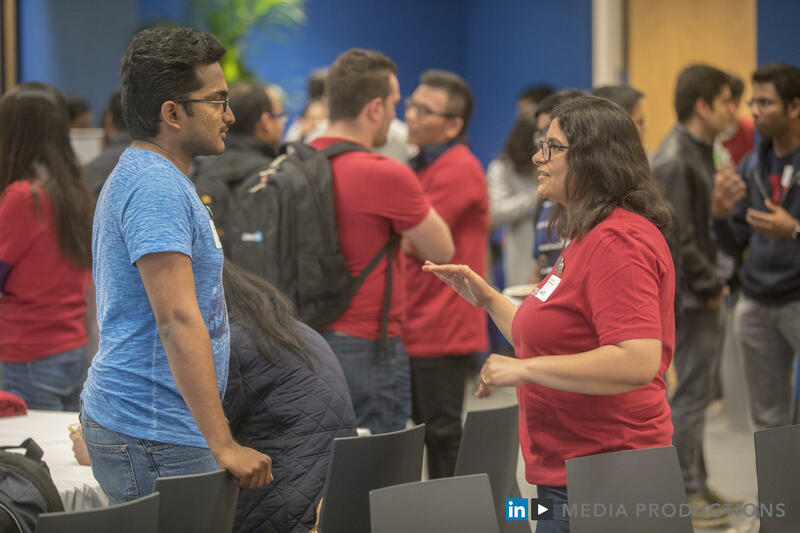 Thank you for taking the time to consider joining us for LinkedIn's Performance Engineering Meet-up. We have invited some awesome fellow performance engineers who are eager to share and speak on some exciting topics. It will be an evening focused on sharing and exploring ways in which companies can deliver delightful user experience through web and mobile applications. Food + Drinks Provided! We will also have a professional photographer ready to take your complimentary headshots! Hope to see you there! Please Note: RSVPs will close on March 19th, 2018 at 11:59 PM. "The Mobile Crash Reporting Pipeline at LinkedIn"
"Slowing Down To Make LinkedIn Fast"
Please Park in the lots highlighted in yellow (refer to image provided). Attendee Check-In will be at the main entrance on the opposite side of West Maude Avenue. Don't check the above Email regularly? Please provide us a secondary Email to receive event updates & reminders! If the above does not apply to you, please type "N/A". I would like to hear from a LinkedIn employee after the event. If 'Yes', your information may be shared with LinkedIn recruiters and hiring managers. By clicking accept, I agree to the Confidentiality Terms. Please read the Confidentiality Terms before accepting. By clicking accept, I agree to the LinkedIn Publicity Release. Please read the Publicity Release Terms before accepting.